We have a no-questions-asked return policy. Click here for more info. 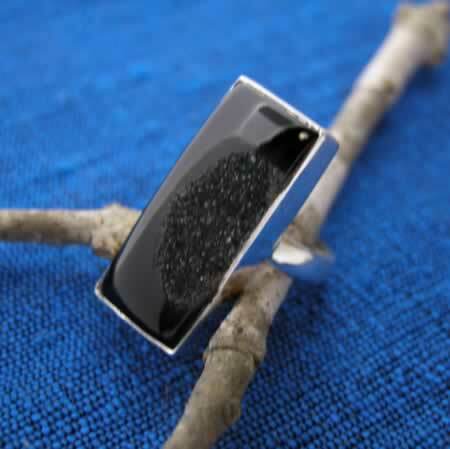 Druzy is a naturally occuring form of agate. It is similar in look and feel to the inside of a geode, with lots of tiny sparkly crystals. These are real eye catchers, and the price is fantastic. Each piece is unique, photo shows a piece that is typical. This assortment is sold by the piece: order the number of pieces you want. Handmade in India, sterling silver. Shipped in assorted colors and shapes. Assorted wholesale silver rings with semiprecious stones. Site design, copy, text and images copyright Whirled Planet, Inc. 1996-2015.